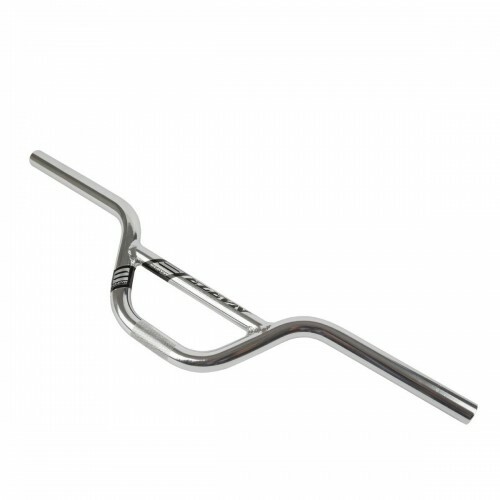 100% Chromoly BMX Racing Cruiser Handlebar.Tubes butted.Height: 5.75 '' (146mm).Width: 27.5 '' (698.5mm).Back sweep: 11 °.Up sweep: 2.55 °.Weight: 690 g.
100% Chromoly BMX Racing Elevn Handlebar.Tubes butted.Height: 7.0 '' (177.8mm).Width: 26 '' (660.4mm).Back Sweep: 10 °.Up sweep: 3.5 °.Weight: 709 g.
100% Chromoly BMX Racing Elevn Handlebar.Tubes butted.Height: 7.5 '' (190mm).Width: 26.75 '' (679.5mm).Back sweep: 10 °.Up sweep: 3.5 °.Weight: 735 g.
100% Chromoly BMX Racing Handlebar.Butted Tubes.Height: 8.0 '' (203 mm).Width: 28.5 '' (725 mm).Back sweep: 10 °.Up sweep: 1.5 °.Weight: 820 g.
100% Chromoly BMX Racing Handlebar.Butted Tubes.Height: 8.25 '' (209.5mm).Width: 28.5 '' (724mm).Back sweep: 10.5 °.Up sweep: 1.25 °.Weight: 799 g.
100% Chromoly BMX Racing Handlebar.Butted Tubes.Height: 8.5 '' (216 mm).Width: 28.5 '' (725 mm).Back sweep: 10 °.Up sweep: 1.5 °.Weight: 820 g.
100% Chromoly BMX Racing Handlebar.Height: 5.75 '' (146mm).Width: 27.5 '' (698.5mm).Back Sweep: 11 °.Up sweep: 2.5 °.Weight: 802g. 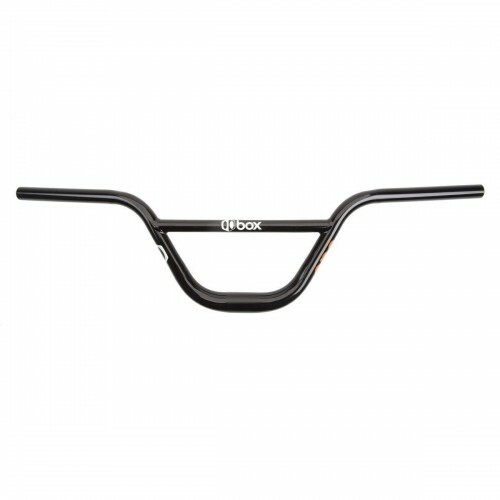 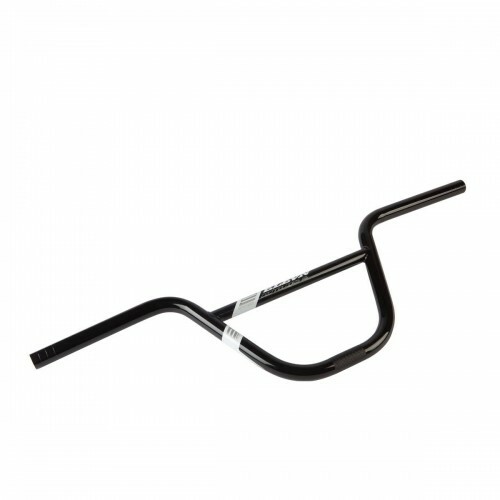 100% Chromoly BMX Racing Handlebar.Height: 7.0 '' (177.8mm).Width: 26 '' (660.4mm).Back Sweep: 10 °.Up sweep: 3.5 °.Weight: 802g. 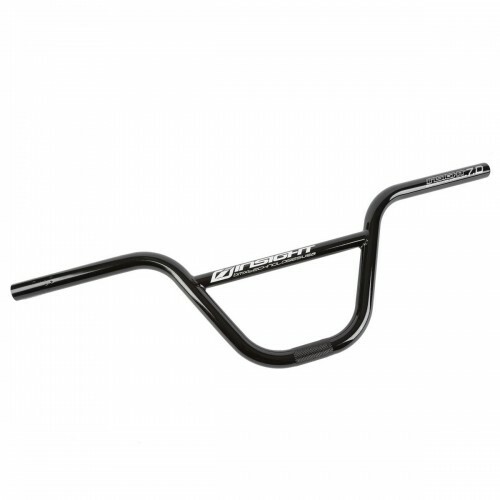 100% Chromoly BMX Racing Handlebar.Height: 7.5 '' (190mm).Width: 26.75 '' (679.5mm).Back sweep: 11 °.Up sweep: 3.5 °.Weight: 836g. 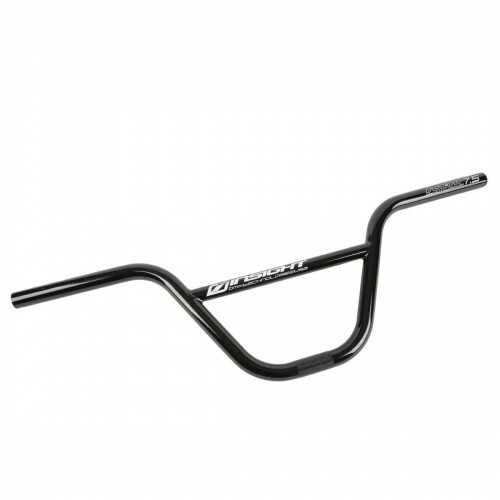 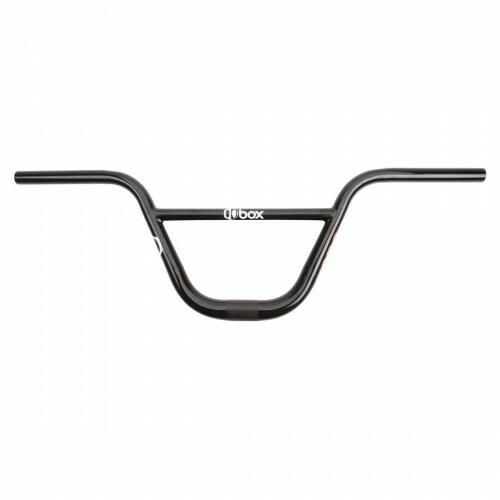 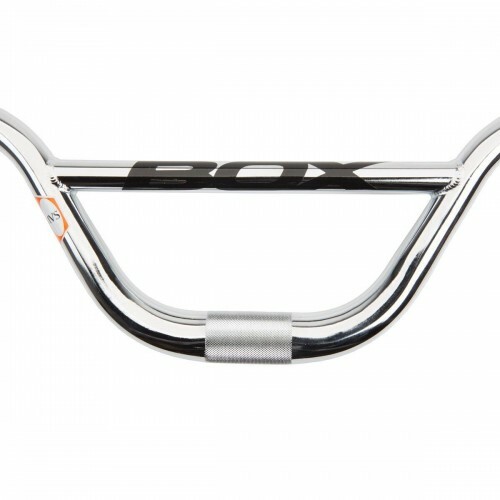 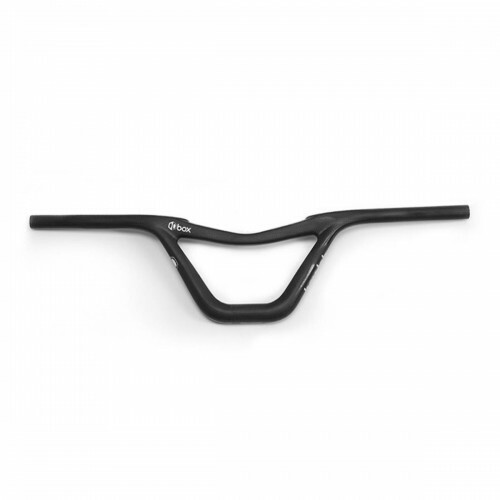 100% Chromoly BMX Racing Handlebar.Height: 8.0 '' (203 mm).Width: 28 '' (717 mm).Back sweep: 12 °.Up sweep: 1 °.Weight: 900g. 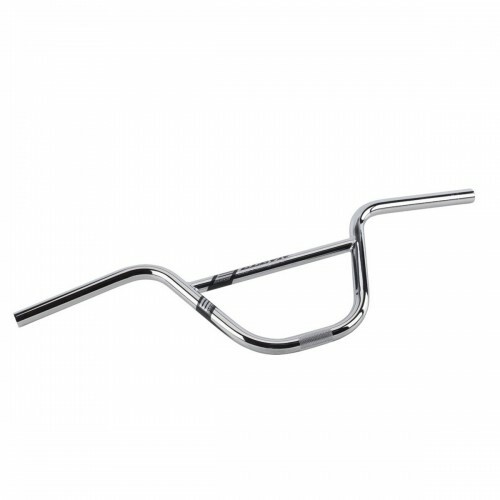 100% Chromoly BMX Racing Handlebar.Height: 8.25 '' (210 mm).Width: 28.5 '' (725 mm).Back sweep: 10,5 °.Up sweep: 1.5 °.Weight: 914g. 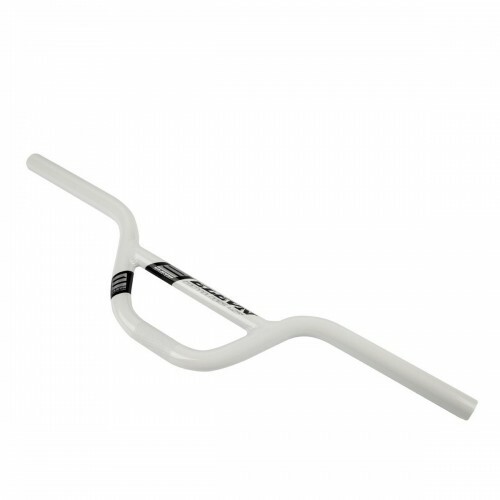 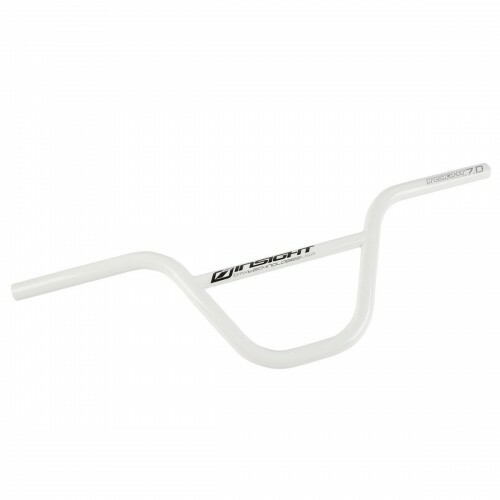 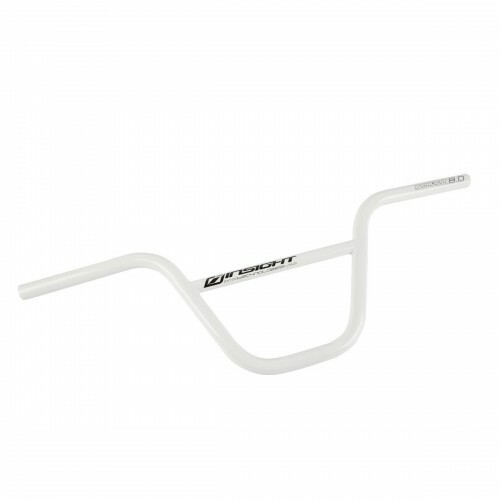 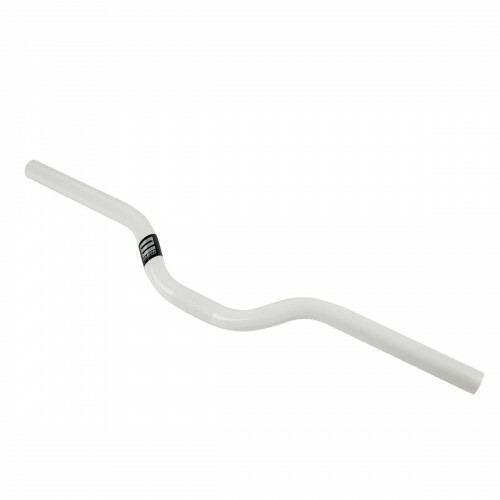 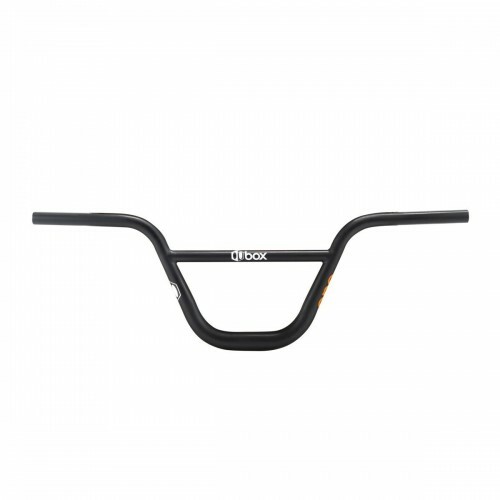 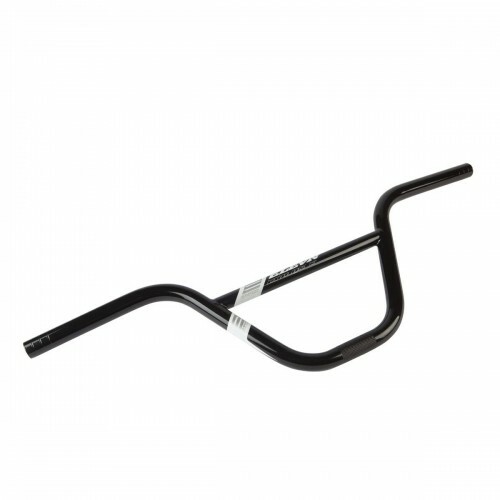 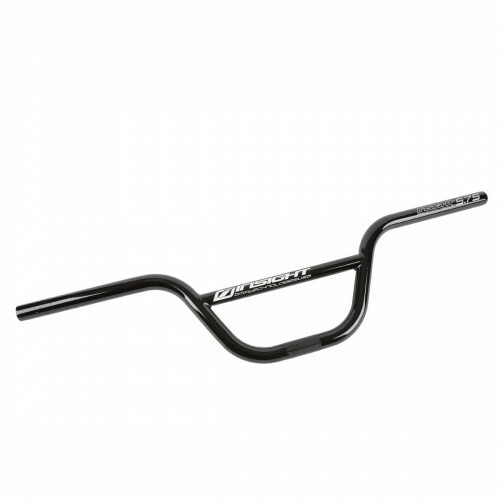 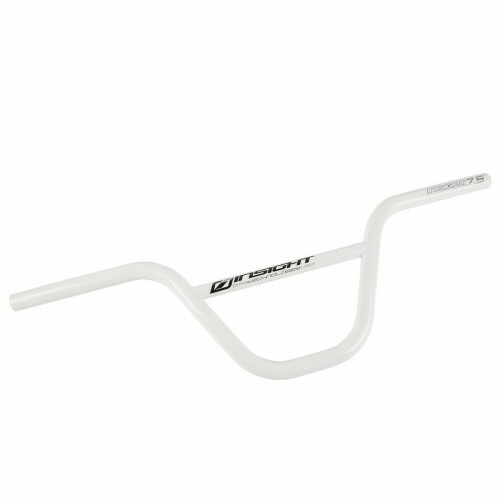 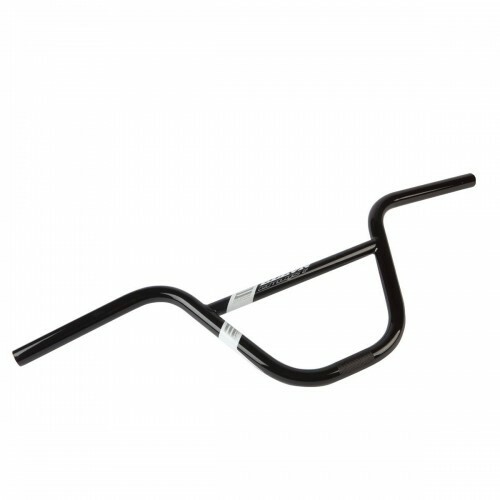 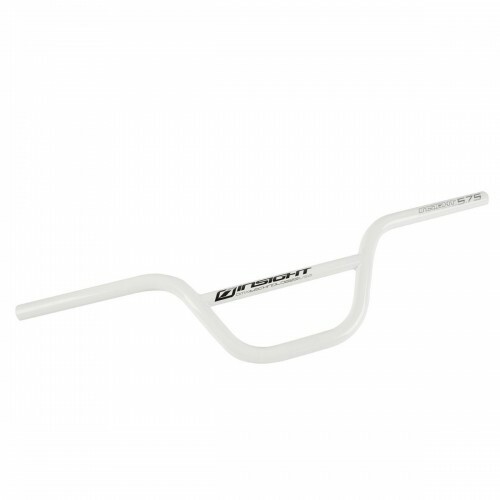 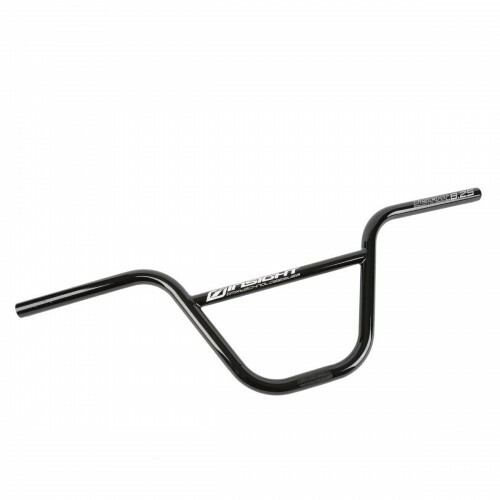 ELEVN SLT G2 (FLAT) HANDLEBAR 8.0"
G2 Version, straight.100% Chromoly BMX Racing handlebar.Butted Tubes.Height: 8.0 '' (203mm).Width: 28 '' (711mm).Back sweep: 6 °.Up sweep: 2 °.Weight: 779 g.
ELEVN SLT G2 (FLAT) HANDLEBAR 8.25"
Version G2, straight.100% Chromoly BMX Racing Handlebar.Butted Tubes.Height: 8.25 '' (209.5mm).Width: 28.5 '' (724mm).Back sweep: 6°.Up sweep: 2°.Weight: 799 g.
ELEVN SLT G2 (FLAT) HANDLEBAR 8.5"
Version G2, straight.100% Chromoly Handlebar.Butted Tubes.Height: 8.5 '' (216 mm).Width: 28.5 '' (725 mm).Back sweep: 6 °.Up sweep: 2 °.Weight: 820 g.
STAYSTRONG V1 RACE BAR 8"
The Stay Strong V1 Race Bars are made from Butted Cro-Mo to reduce weight while maintaining a strength.Back Sweep: 6°.Up sweep: 2°. ELEVN SLT ALLOY HANDLEBAR 2.25"
BMX Race mini Handlebar Aluminum 6061.Height: 2.25 '' (57mm).Width: 24 '' (610mm).Back sweep: 8 °.Up sweep: 2 °.Weight: 240 g.
ELEVN SLT ALLOY HANDLEBAR 4.25"
BMX Racing Junior Handlebar Aluminium 6061.Height: 4.25 '' (108mm).Width: 26 '' (660mm).Back sweep: 8 °.Up sweep: 2 °.Weight: 330 g.
ELEVN SLT ALLOY HANDLEBAR 5.75"
BMX Racing Expert Handlebar Aluminum 6061.Height: 5.75 '' (146mm).Width: 26 '' (660mm).Back sweep: 8 °.Up sweep: 2 °.Weight: 375 g.